For healthy women with uncomplicated pregnancies and labours there is good evidence that being in water during labour or whilst giving birth can provide some pain relief. Many women find they experience less painful contractions, a shorter labour, less need for drugs, less need for augmentation (speeding up of contractions with Syntocinin). There is however, no evidence of any benefit to actually delivering under water although many women who labour in a birthing pool will go on to give birth in the water. The baby’s heart beat can easily be monitored whilst in water. The temperature of bath must be controlled carefully by the midwife so that you and baby do not over heat. You will be discouraged from trying for a Waterbirth if you have any significant risk factors which require continuous monitoring of the baby’s heartbeat or if you are having Syntocinin. You would also not be suitable if you were having an epidural or were sedated from the use of strong drugs. If the midwife is worried about the condition of the baby then you may have to get out of the water. If your waters break and they contain meconium (the baby’s first stool) this may indicate that your baby is in distress and you may have to get out so that you can be monitored more effectively. 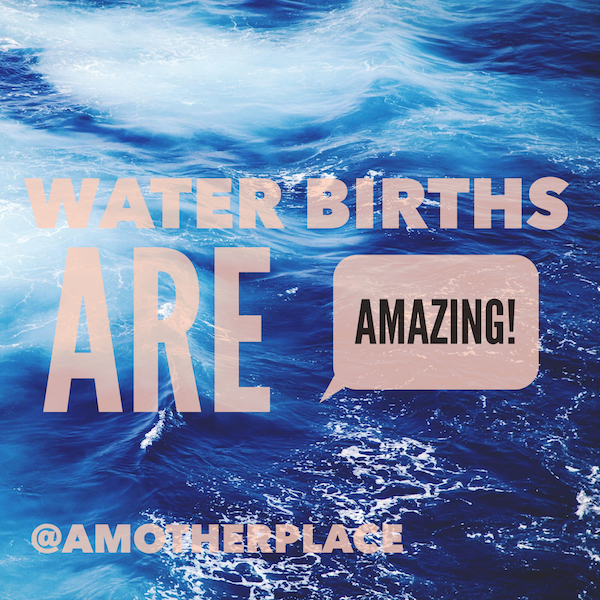 If you would like to read more about Water Births and know what happens step by step then we have lots more information for you on our Water Birth page. Read all about our founder Becca’s Water Birth. Would you like to know more about Epidurals?